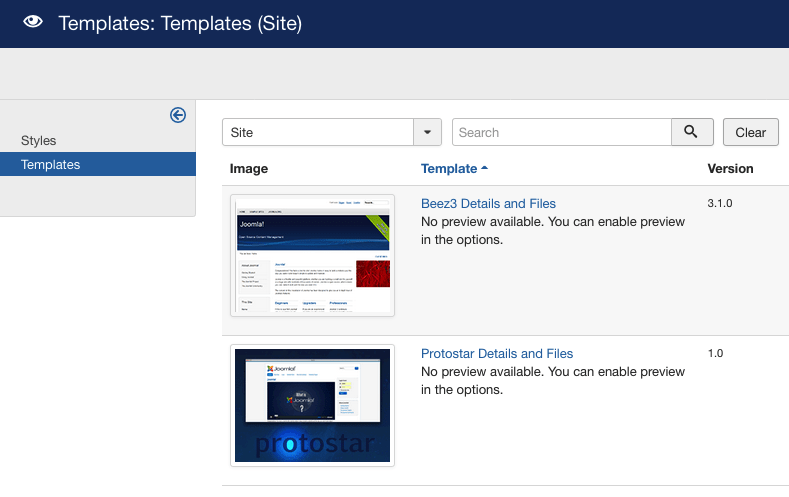 The Protostar template CSS can be modified directly in the Template Manager. But the issue with modifying core files for our own needs (Joomla or an extension), is that they may be overwritten by an update, and by the Joomla Update Component. So to avoid to add to CSS customisations again and again, here is a simple solution implemented since Joomla! 3.5. Go to Extensions → Templates and again Templates (direct menu, or left sidebar). The default view is on Styles, be careful. Then open the template Protostar, click on Protostar Details and Files. Now you are in a code editor, and you can put your custom code there. You only need to put the changed properties. You can see them applied on your page, with the Developer tools of Firefox or Chrome. 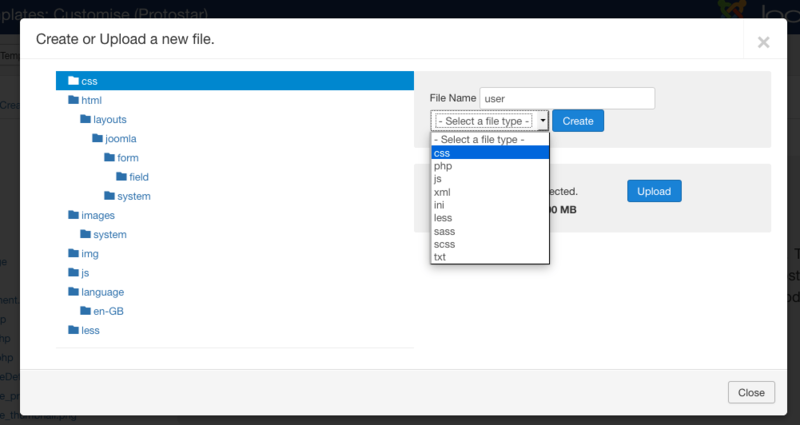 The file name must be user.css and notcustom.css, as it is used by some content editor. This page was last modified on 26 November 2018, at 02:31.